Scholars in Egyptology have often debated the following question: was the ancient Egyptian society organized along patrilineal or matrilineal lines? In taking a fresh and innovative look at the ancient Egyptian family, Allen attempts to solve this long-standing puzzle. 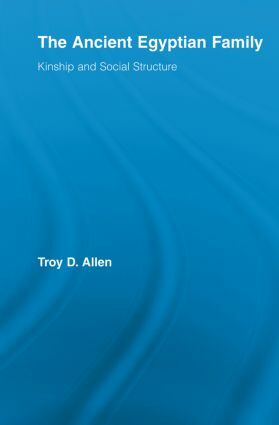 Allen argues that the matrilineal nature of the ancient Egyptian family and social organization provides us with the key to understanding why and how ancient Egyptian women were able to rise to power, study medicine, and enjoy basic freedoms that did not emerge in Western Civilization until the twentieth century. More importantly, by examining the types of families that existed in ancient Egypt along with highlighting the ancient Egyptians' kinship terms, we can place the ancient Egyptian civilization in the cultural context and incubator of Black Africa. This groundbreaking text is a must-read for Historians and those working in African Studies and Egyptology.